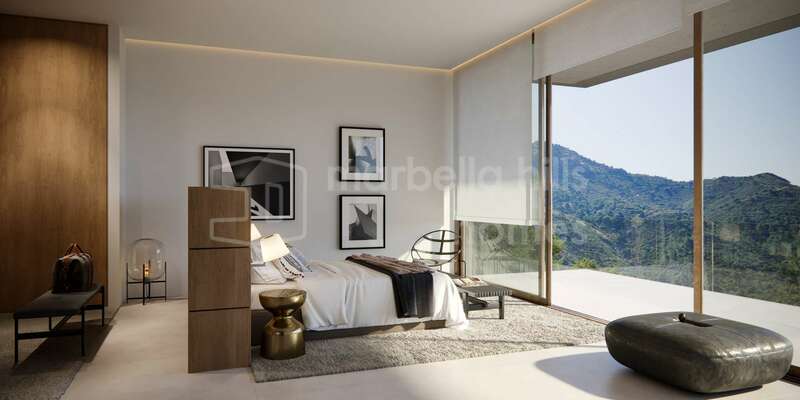 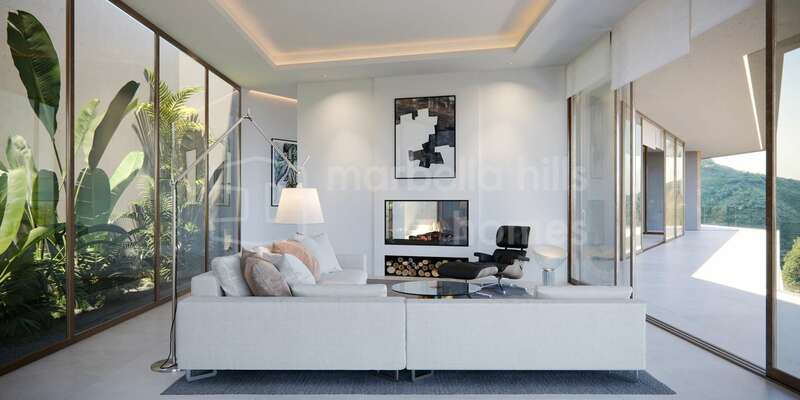 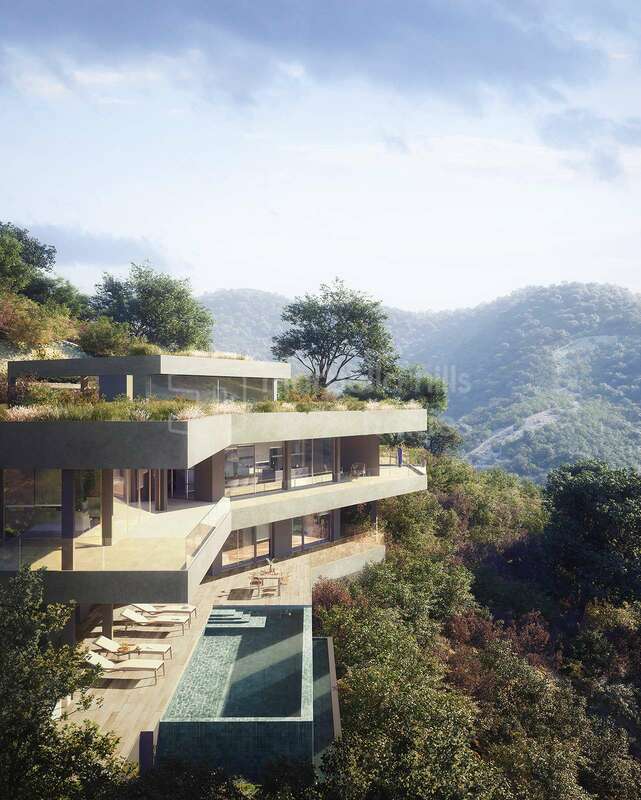 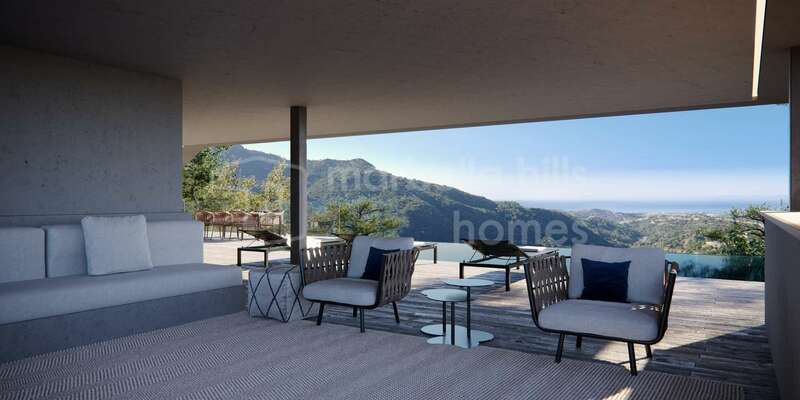 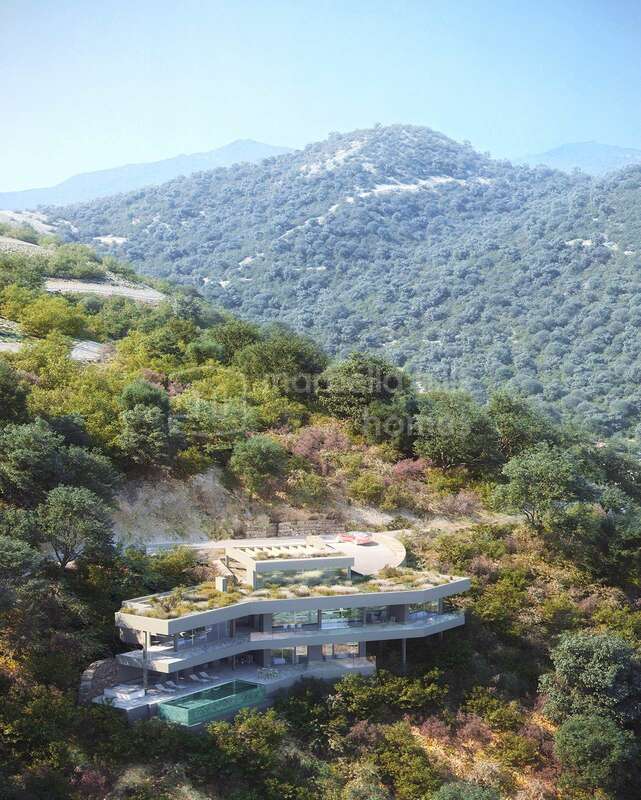 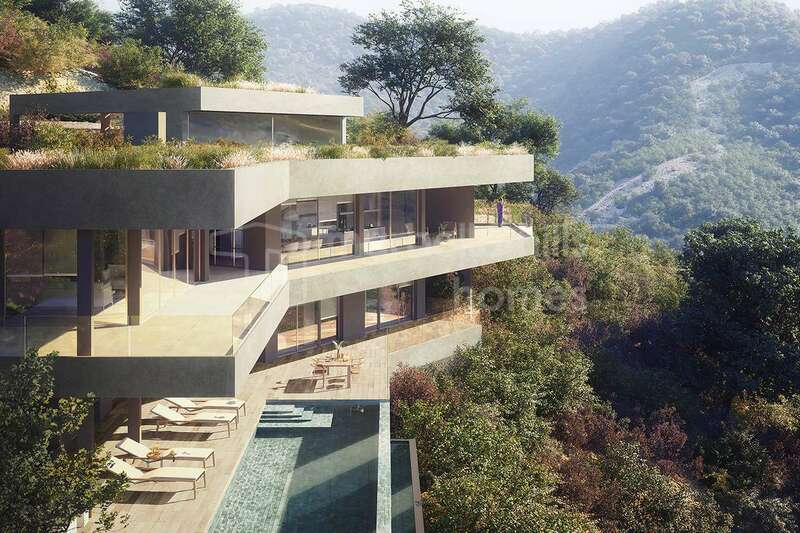 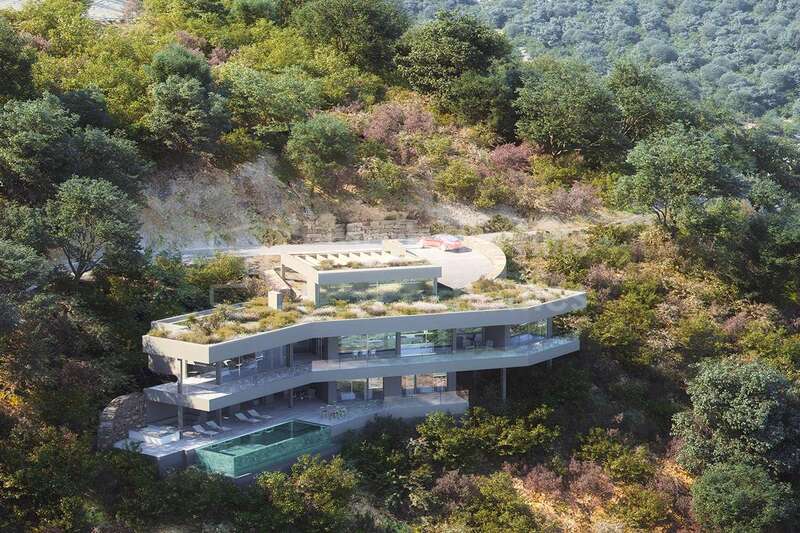 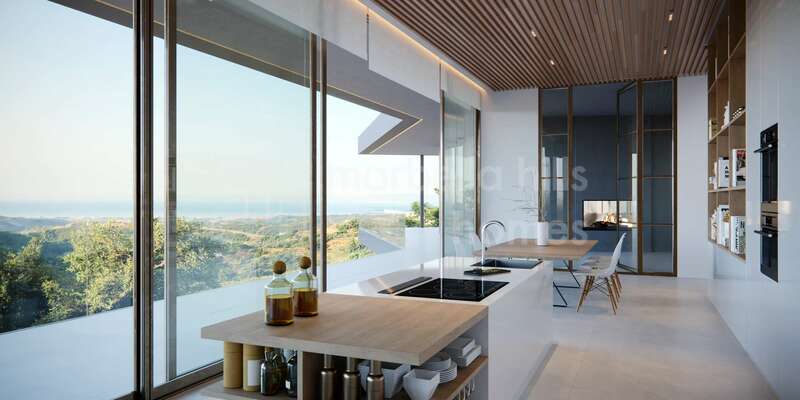 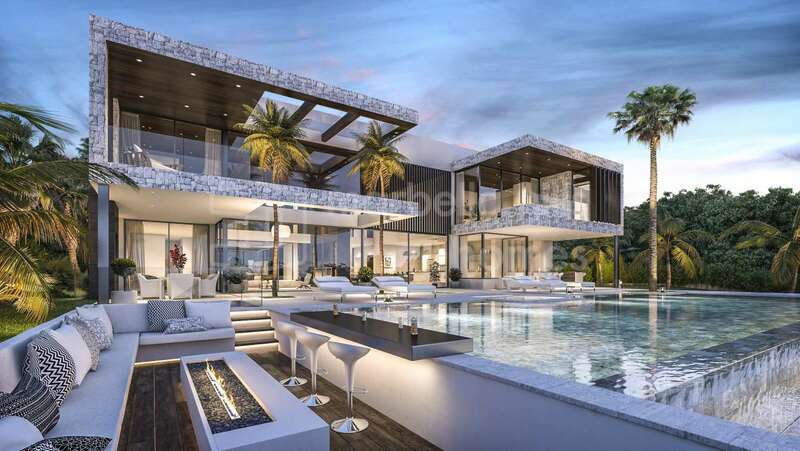 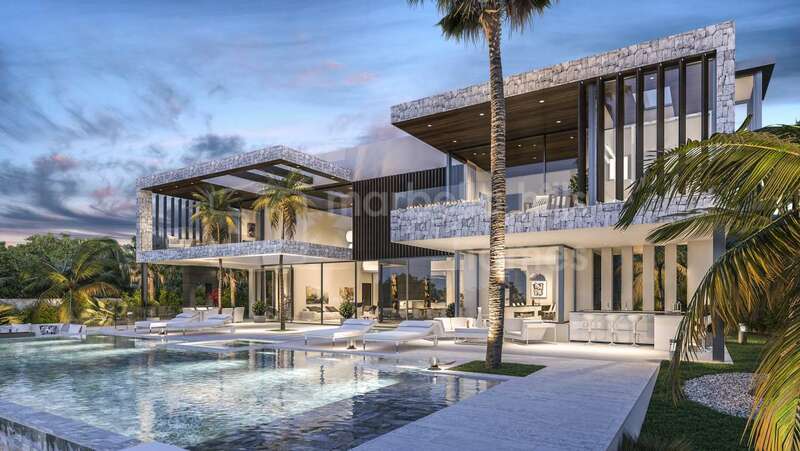 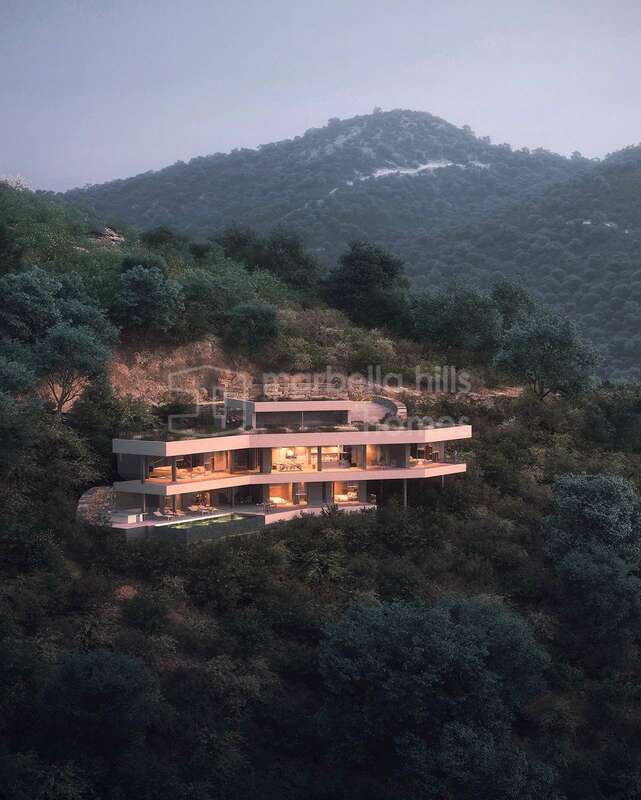 Innovative concept for these fantastic ultra contemporary villas of 4 rooms ideally integrated in the superb environment of Mediterranean nature in Monte Mayor Country Club – Swimming pool and private garden – private elevator – Delivery beginning of the second semester 2019. 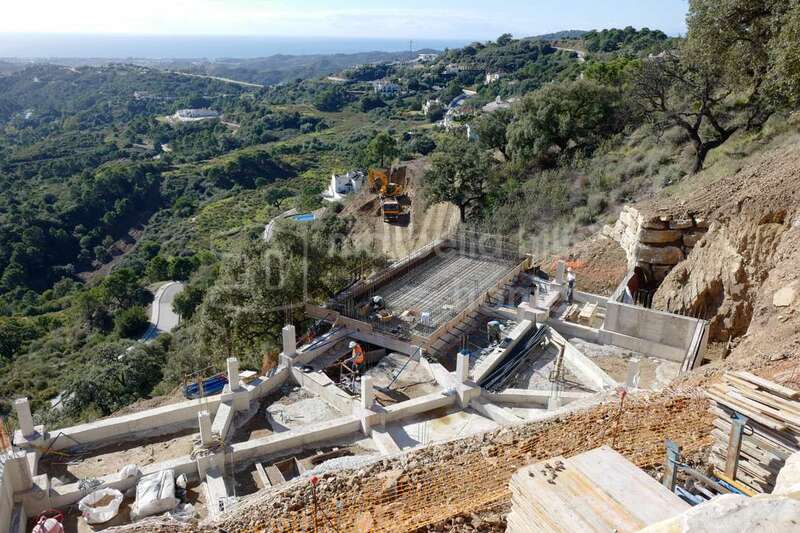 Currently under construction, the first villa of this very high-end project has an entrance with carport on the ground floor, a large open space volume flooded with natural light including a living / dining room with a double fireplace / and a fully equipped high-tech kitchen giving direct access to a fantastic infinity pool and large covered terraces offering a breathtaking panoramic view of the sea and the surrounding landscape, a luxurious master suite with dressing room and private bathroom. 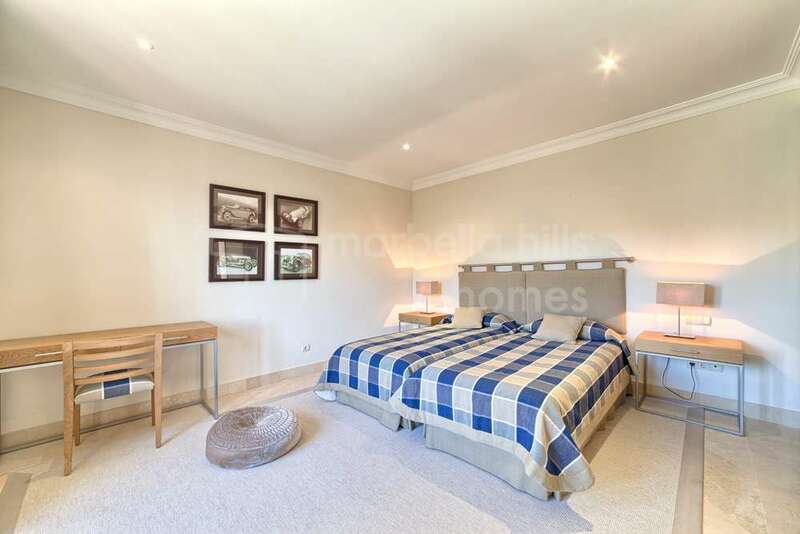 The lower floor houses three guest rooms with private bathrooms, a terrace-reception with lounge, bar and outdoor kitchen. 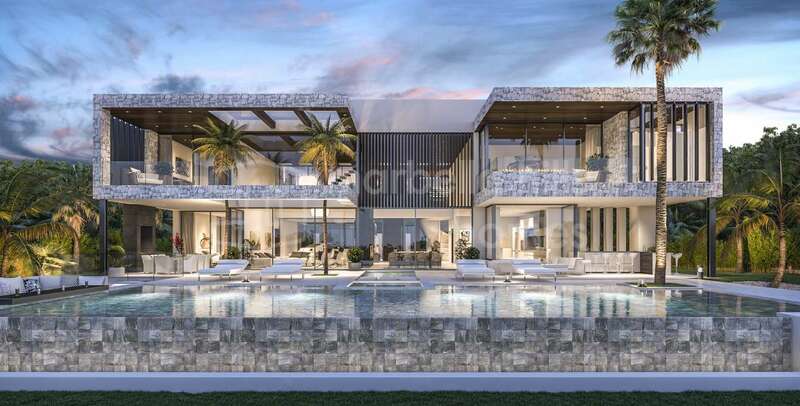 Exotic wood terraces – Dark green tiled infinity pool for a perfect integration with the natural Mediterranean environment – A private lift serves every level of the villa. 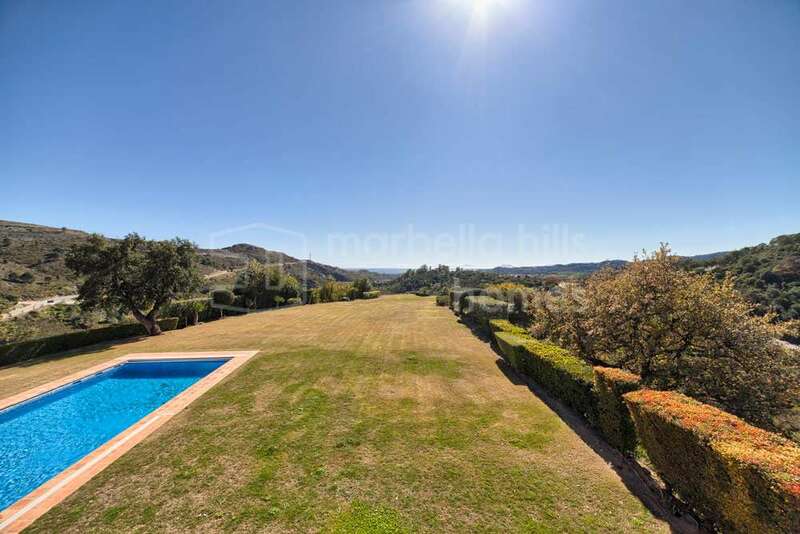 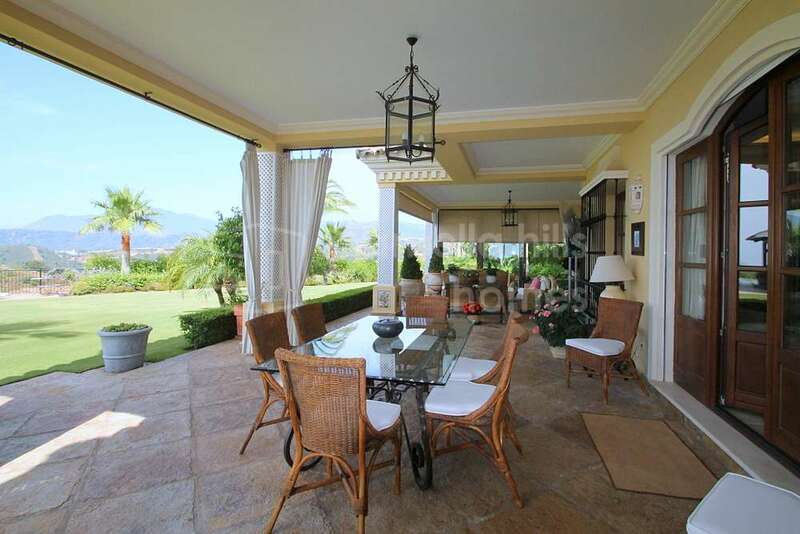 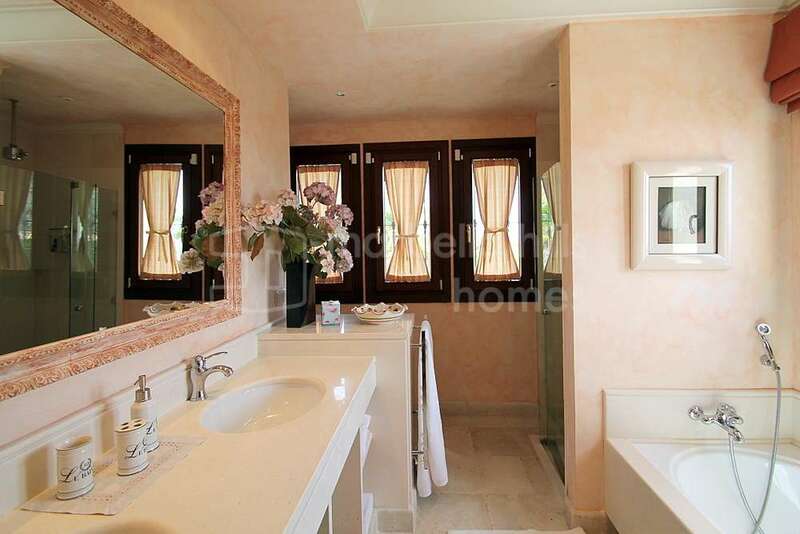 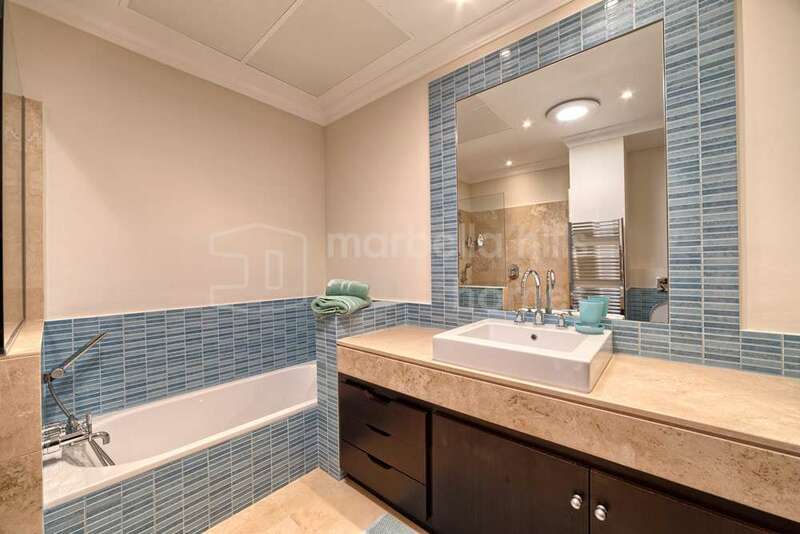 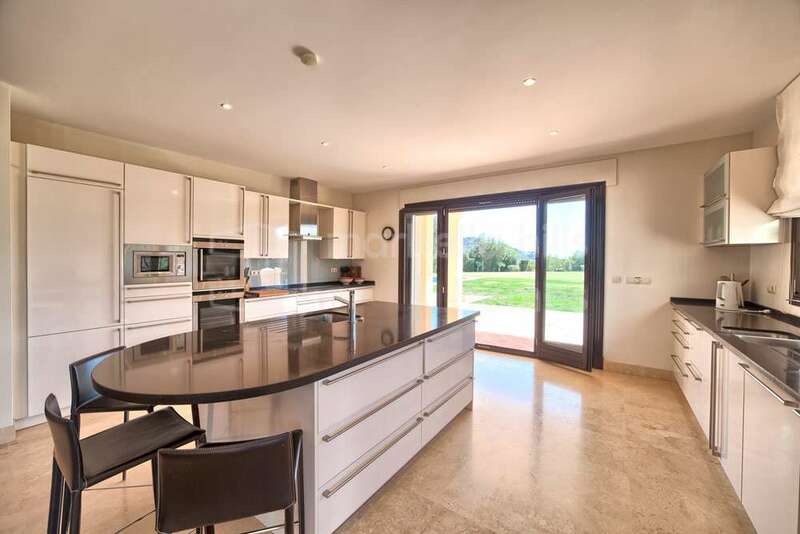 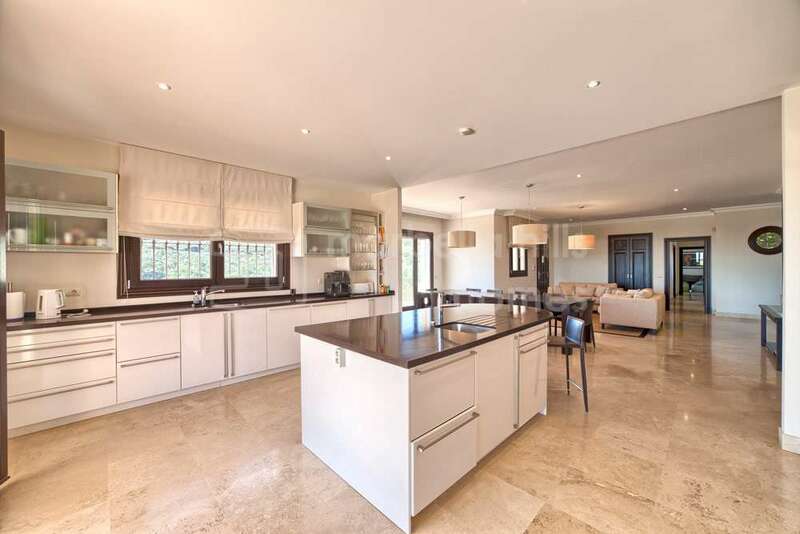 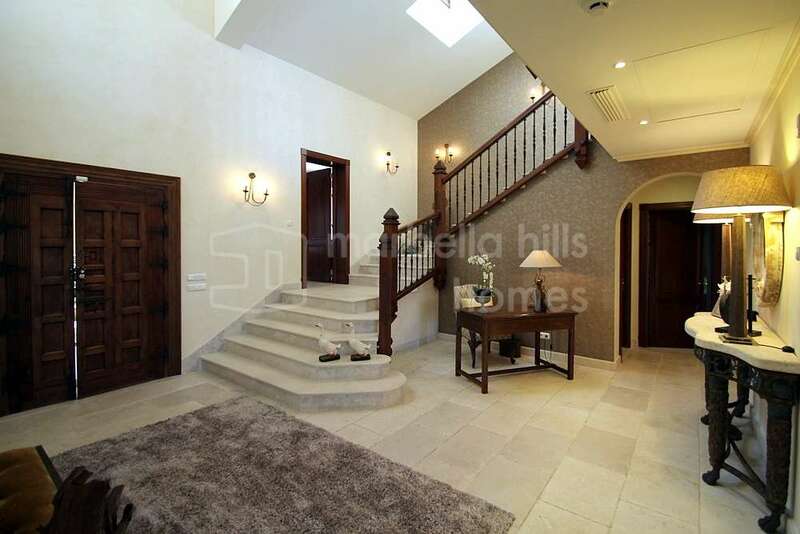 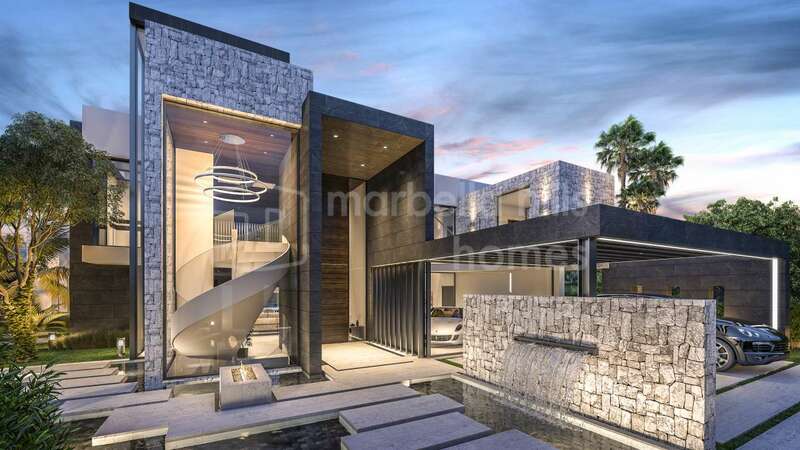 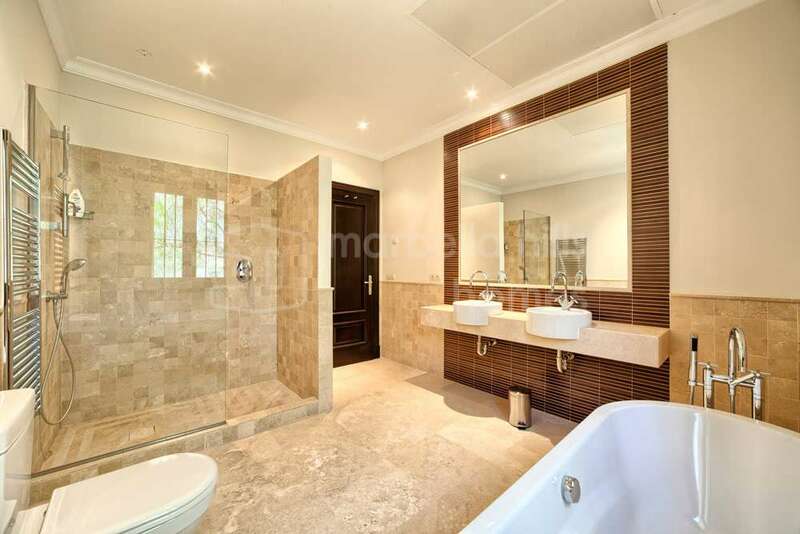 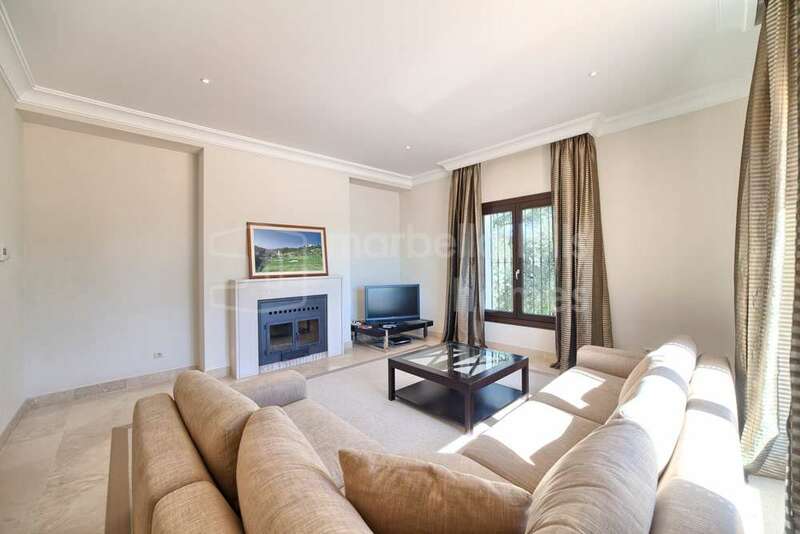 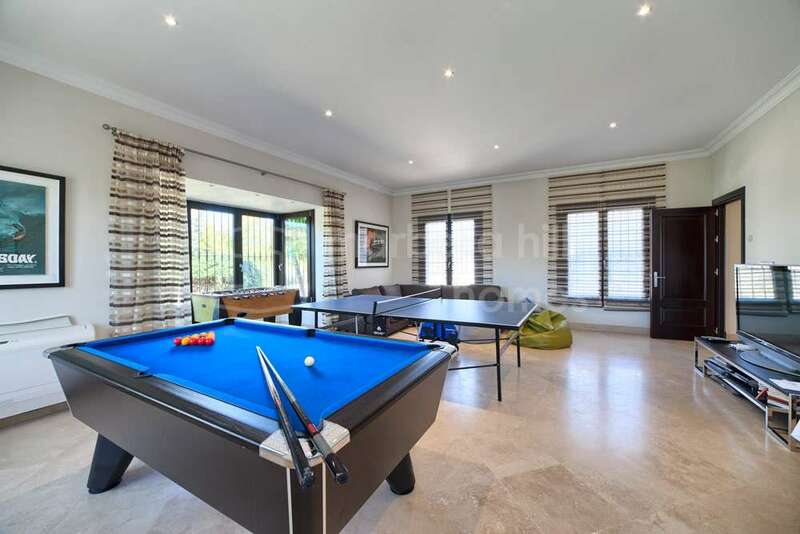 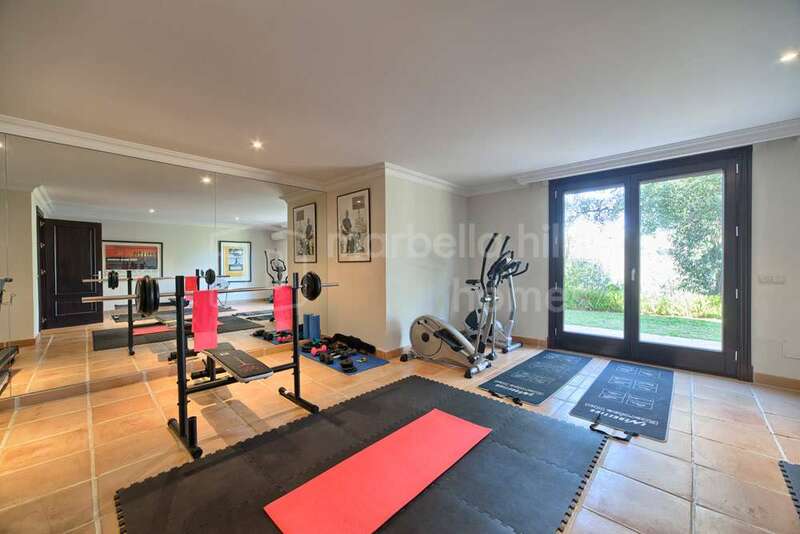 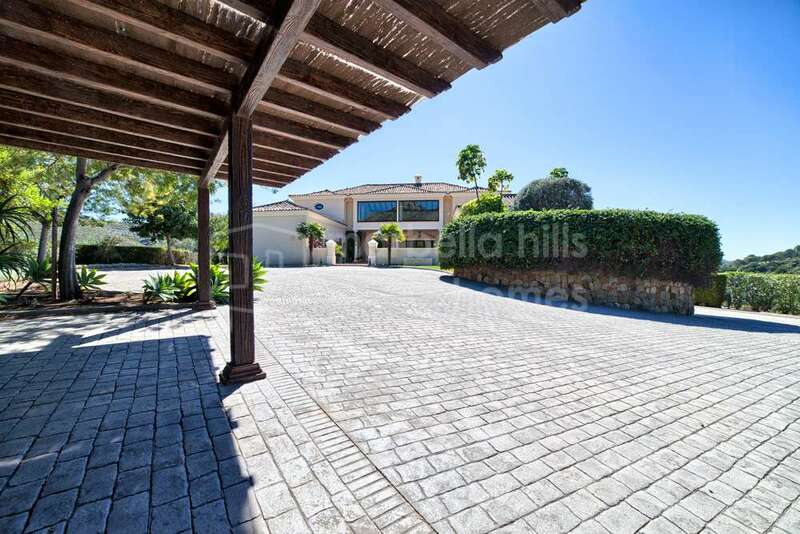 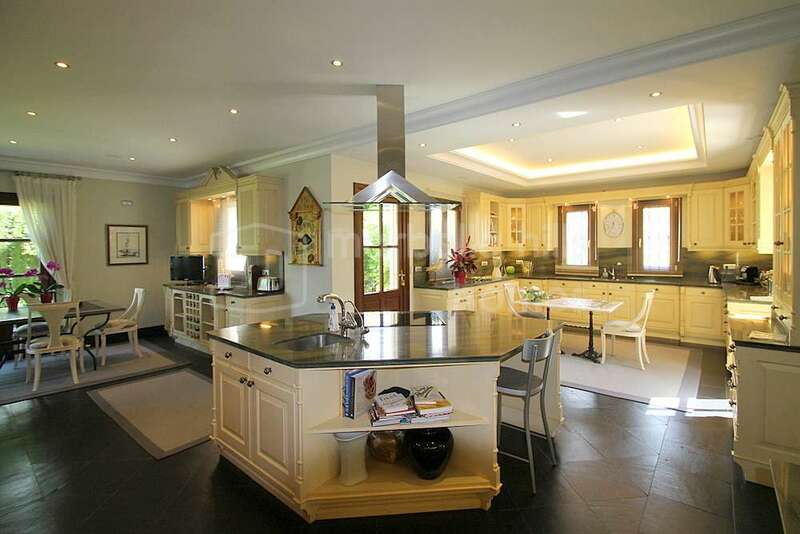 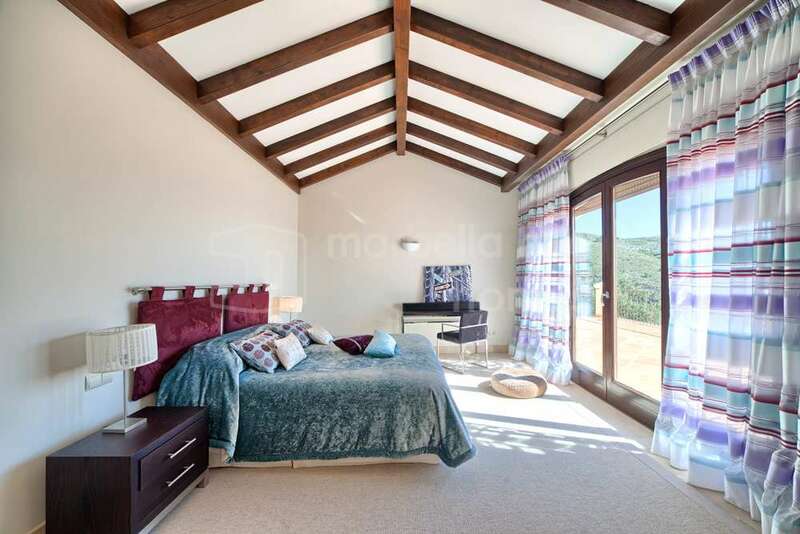 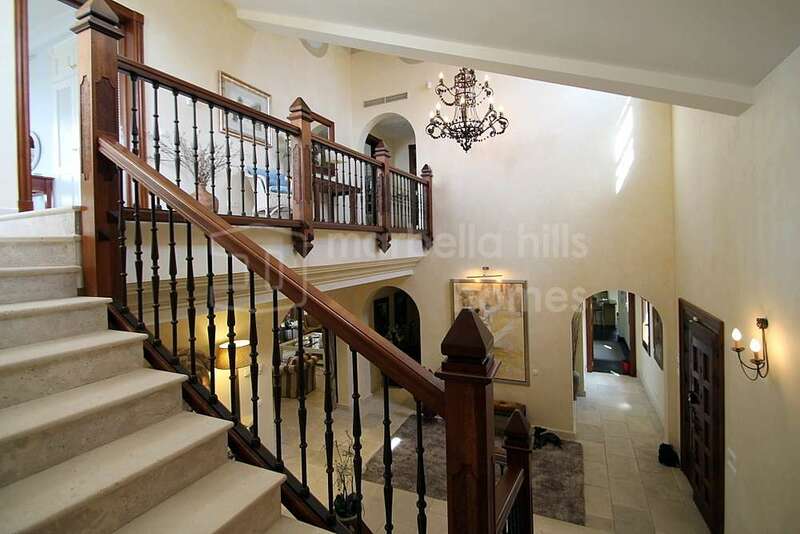 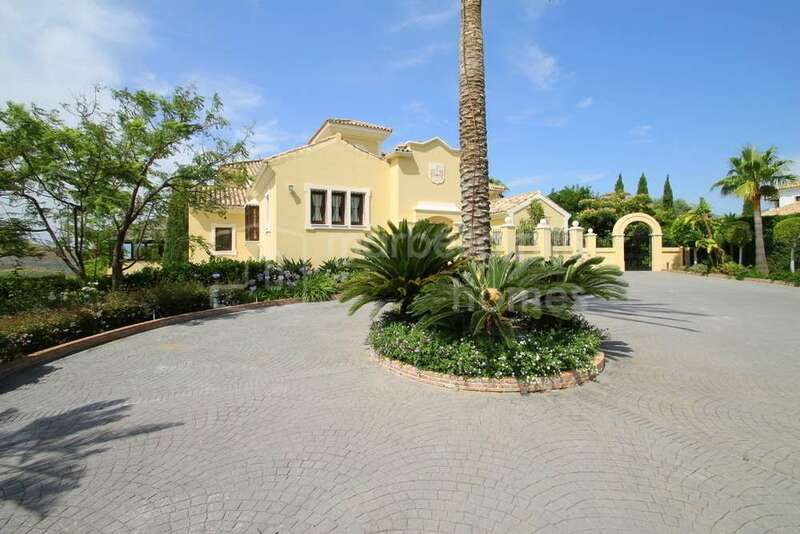 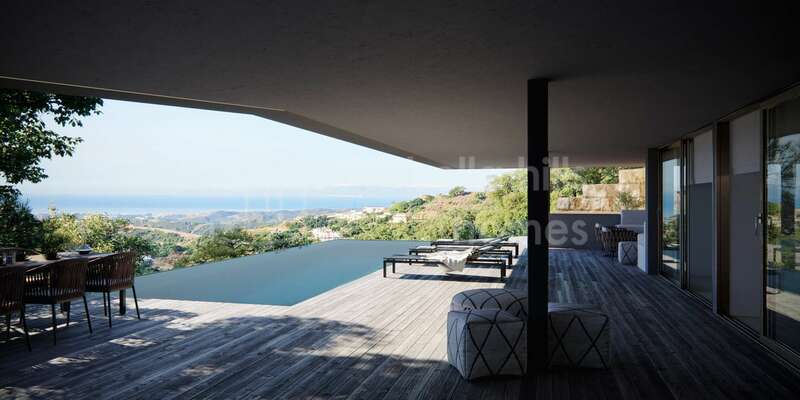 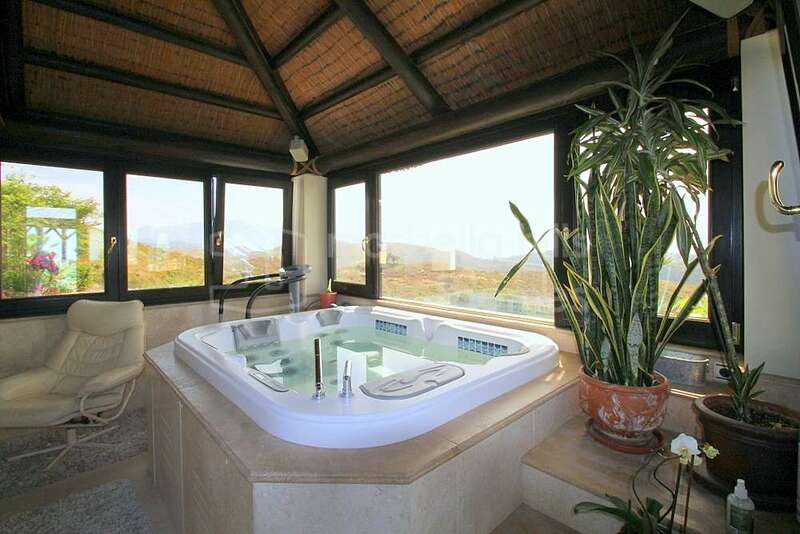 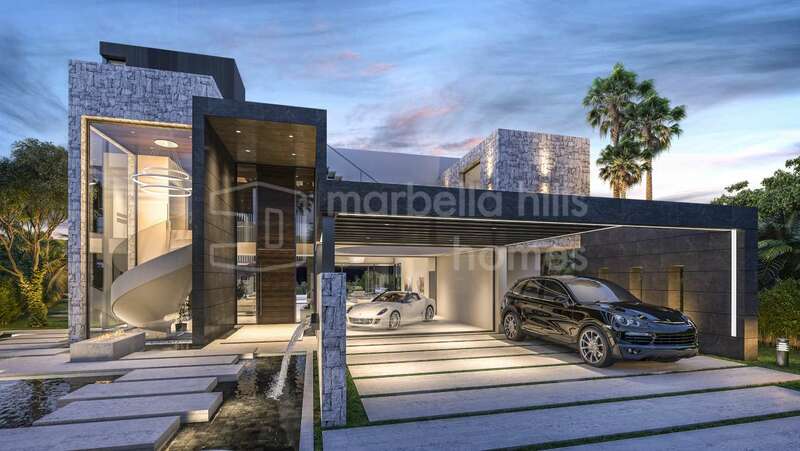 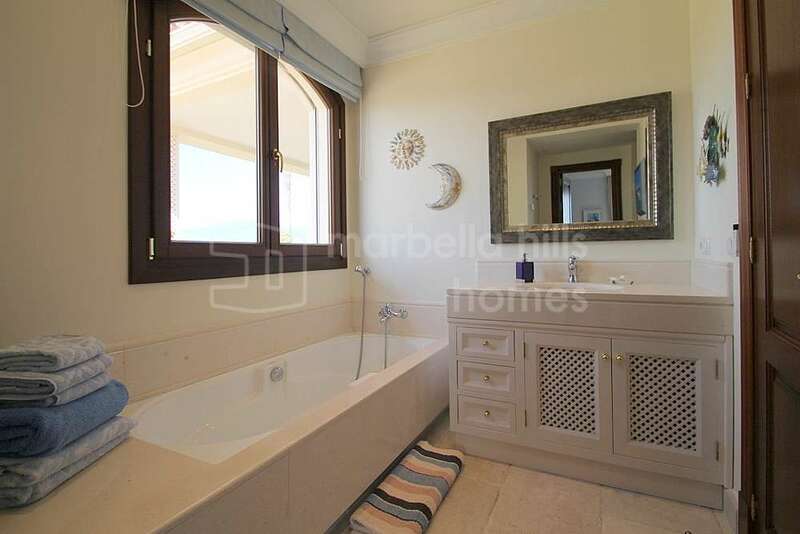 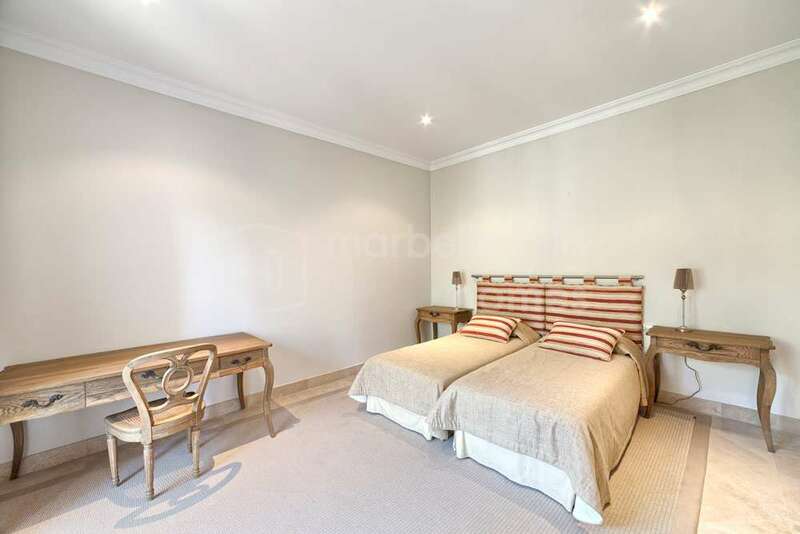 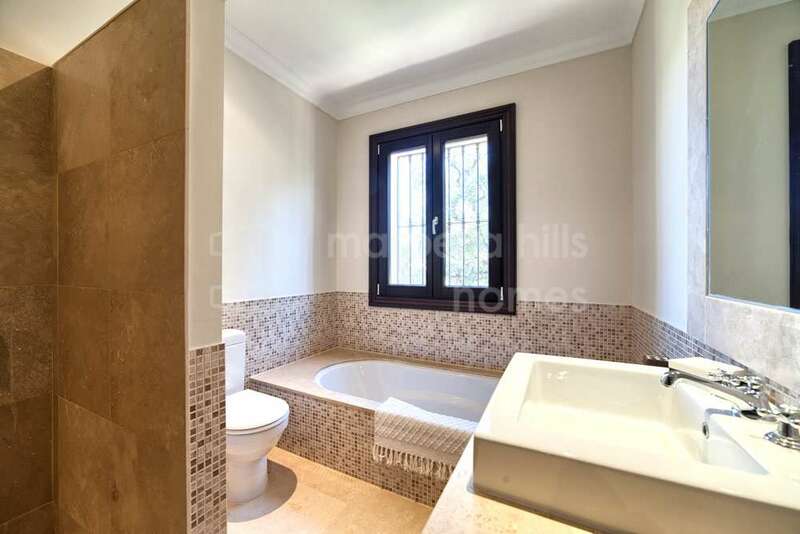 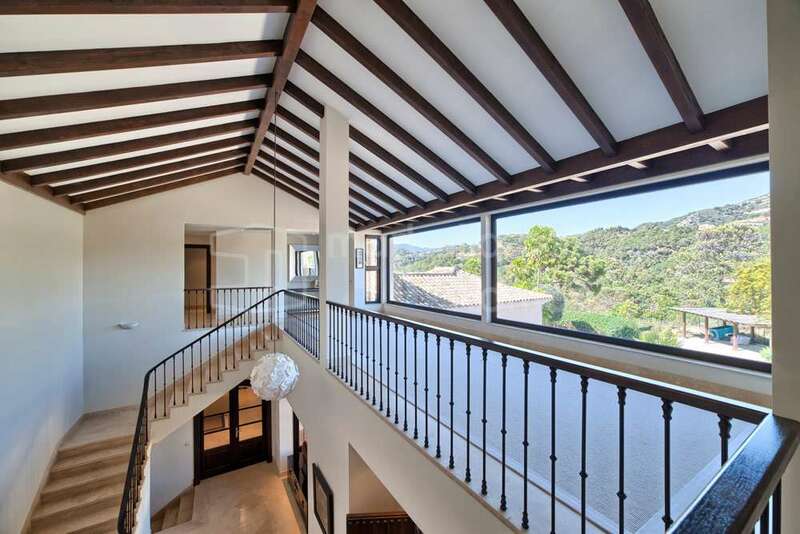 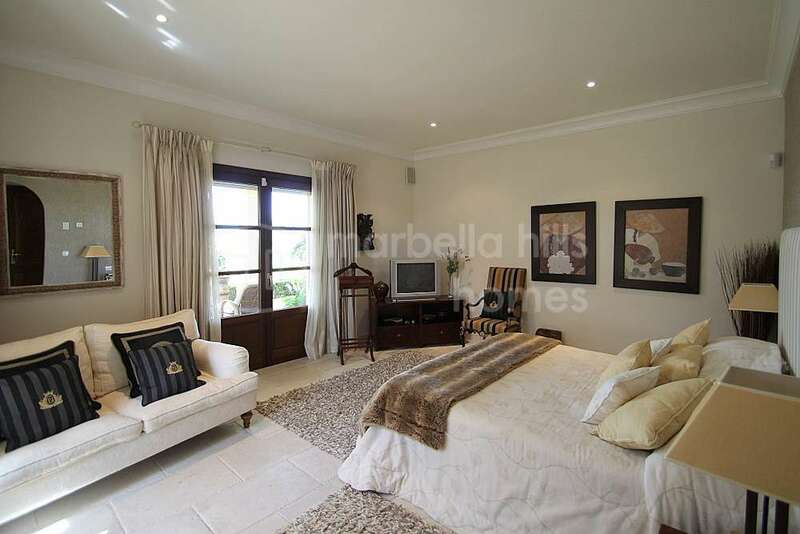 A unique villa in an exceptional setting, close to a prestigious golf course and all amenities. 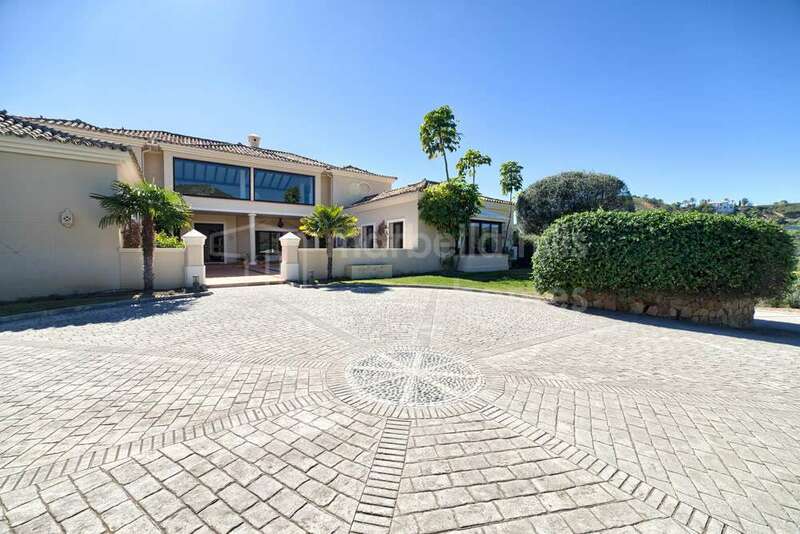 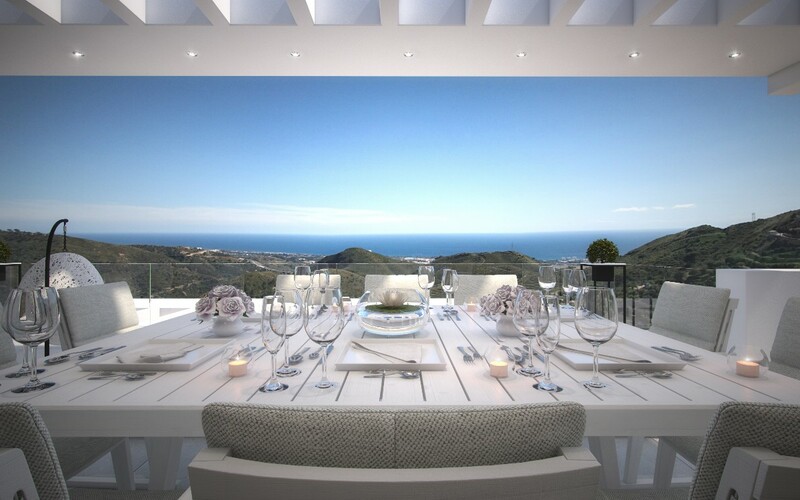 Puerto Banùs and Marbella just 15 minutes drive away! 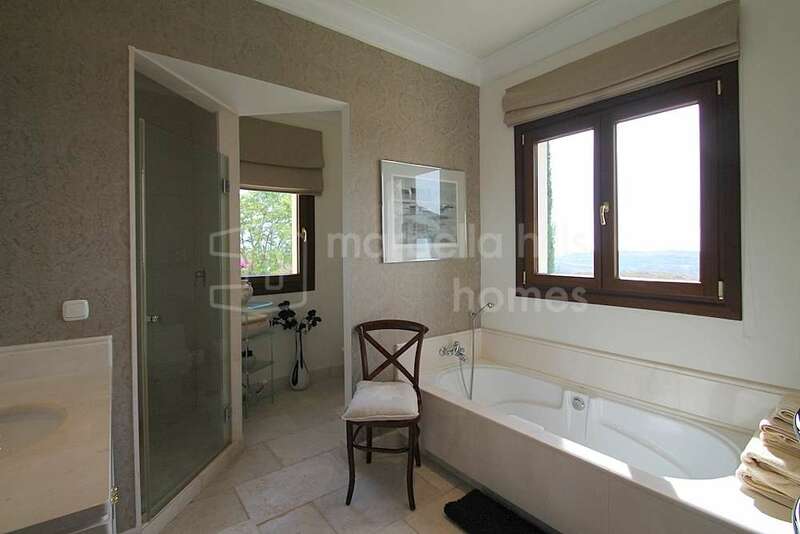 Fully fitted kitchen, Utility room, Fireplace, Marble floors, Basement, Solar panels, Guest room, Storage room, Double glazing, Brand new, Dining room, Mountainside, Security service 24h, Guest toilet, Private terrace, Kitchen equipped, Living room, Sea view, Country view, Mountain view, Dolby Stereo Surround system, Laundry room, Covered terrace, 24h Service, Electric blinds, Fitted wardrobes, Air conditioning, Lift, Panoramic view, Underfloor heating (partial), Unfurnished, Close to Golf, Uncovered terrace, Separate dining room, Open plan kitchen.